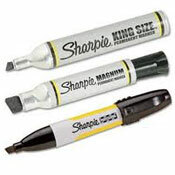 Our full line of Shipping Room Supplies will keep your warehouse running efficiently. 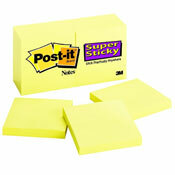 Use these Carton Stands to keep work stations neat and organized. 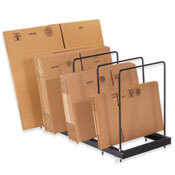 Dividers hold various size cartons upright for easy dispensing. 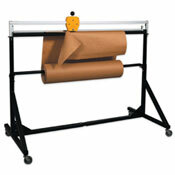 Our Roll Storage System stores and cuts bubble, foam, paper and plastic rolls and can support up to 300 pounds. Our knives are used in any industrial application that involves the cutting of different materials, like pallet strapping, tapes, boxes and twine. Our steel utility knife is heavy duty, and our plastic utility knife is lightweight and fits in the user's pocket. Our Carton Stands have a steel support frame with black powder coat finish. 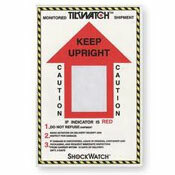 These mobile stands can easily be moved from station to station. 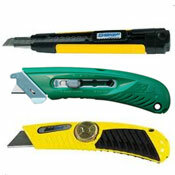 Our tap-action knife operates with a single push, and the blade is exposed for use. Snap-blade knifes are very convenient because they do not require many blade changes; the user simply snaps off the dull portion of the blade and a new sharpened edge is ready.